5/7/17 - Could Sly Cooper 5 be on the way? Good question! Exactly one year ago today, I published a news article discussing several theories I had regarding another Sly Cooper game, along with a movie that appears to be in limbo. 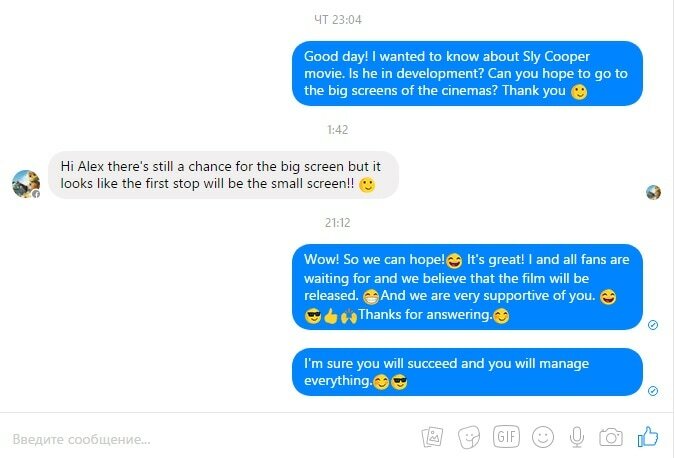 To summarize, based on the content of Sucker Punch's social media posts and recent silence, I concluded that there was a strong possibility that they may have taken over Sly Cooper development once again! Unfortunately, a year has passed and still no news. However, Sucker Punch is still in business, and therefor they are clearly working on SOMETHING. I still believe that something is Sly 5. Here's the skinny. After some digging around the Internet, I discovered an article citing a reliable source that Sucker Punch Productions (the company that produced the first 3 Sly Cooper games) is planning to announce a PS4 game at E3 2017 (June 13-15). This could be anything. inFamous, of course, is a cash cow, and would continue to rake in money. However, Sucker Punch loves to take risks, and I have a strong suspicion that they will likely take a break from that series for a while. There were some rumors floating around last year that Sucker Punch might be working on a Spider Man game, but I highly doubt it as they have never developed a game using someone else's intellectual property. As one rumor suggests, they might come up with a new series. Entirely possible. But I think it's equally possible that it'll be Sly 5. Everything I said in my article last year (scroll down to read it) still holds true, so my next stop was Sucker Punch's Twitter page. On September 23rd last year (two days before my birthday! 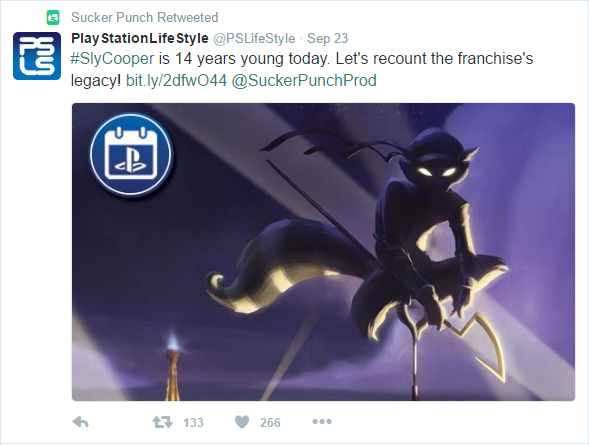 ), Sucker Punch retweeted PlayStationLifeStyle's retrospective article celebrating the 14th anniversary of the Sly Cooper series. 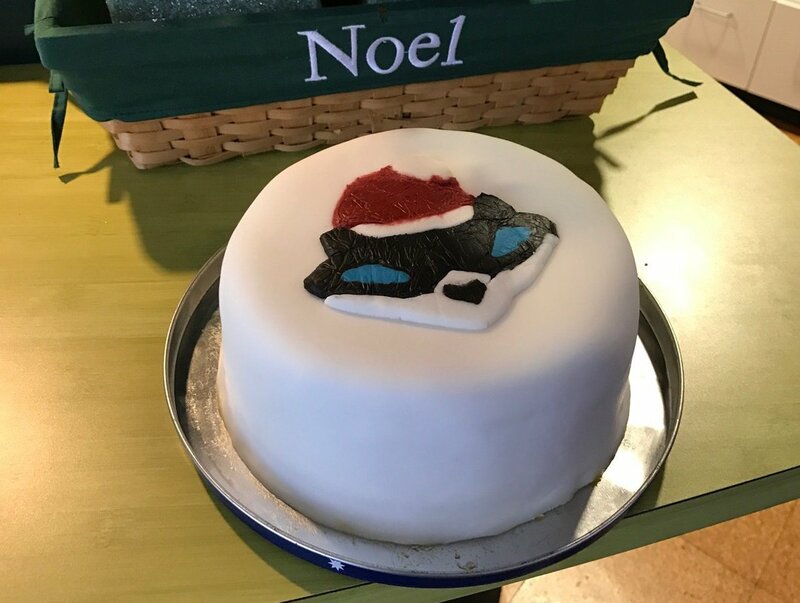 A few months later, on December 2nd, Sucker Punch Tweeted out a picture of a cake sporting the Sly Cooper logo with the caption "Amazing fruit cake created by a fellow Sony colleague visiting the studio today. It was as delicious as it looks." The cake itself wouldn't normally be of interest, but the fact that it was baked by a Sony employee visiting the studio is grounds for a double-take. Sure, the Sly logo is more iconic, but that cake could have just as easily exhibited the inFamous logo (which has likely made more money for Sony at this point anyway). At the least, a visit from Sony means that the studio is working on a game (duh). Since Sony bought the rights to Sly Cooper, there would certainly be a significant amount of oversight during the development of a fifth Sly Cooper installment. 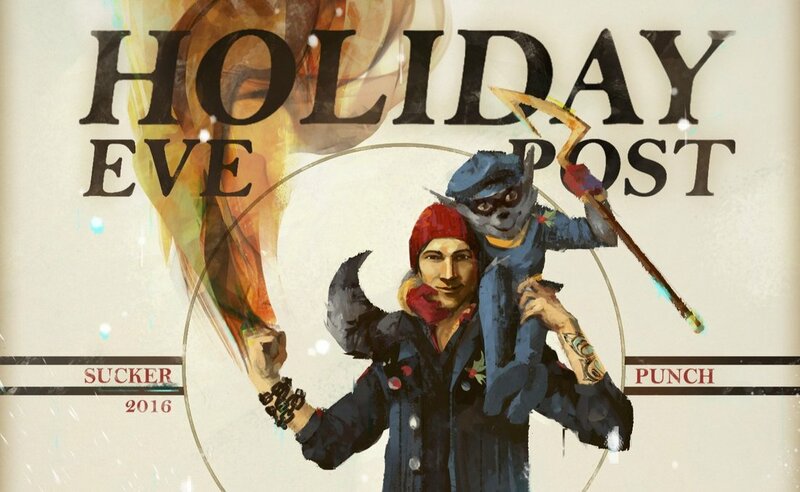 A few weeks later, on December 22nd, Sucker Punch tweeted out its annual Holiday Card (always ripe for speculation), this time parodying a famous Norman Rockwell painting, only replacing Bob Cratchit with Delsin Rowe from inFamous, and Tiny Tim with Sly Cooper. This is certainly nitpicking, but notice Sly's gloves. Since the very first game, Sly has had blue gloves. In this image, he has red gloves. Sure, maybe the change was made to enhance the Christmas vibe in the image, (they did, after all, add mistletoe to both characters). But Delsin hasn't been altered at all. Could this be indicative of Sucker Punch changing Sly's design? If so, that would suggest they're working on a Sly Cooper game. (It is worth mentioning that in the original image, the person in Sly's place is wearing red gloves too. So maybe this is just a red herring). 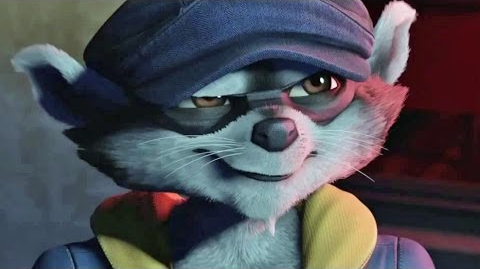 Also, while this could just be the art style, it looks like this Sly was based on the updated Sly Cooper: Thieves in Time model as opposed the the earlier models Sucker Punch used in the first games. But again, this could just be nothing. You might be wondering why I haven't mentioned Sanzaru. I suppose I must address them. Firstly, I'll give Sanzaru SOME credit because they delivered when Sucker Punch couldn't. After several agonizing years, they gave us Sly 4. I loved the game, but it felt to me as though their heart wasn't 100% in it. And I was right. 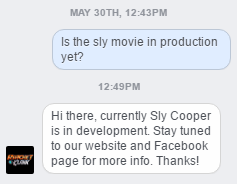 There hasn't been any news from the company regarding another Sly Cooper game, and I doubt there will be. It seems to be the company's business model to take someone else's intellectual property, make some quick cash, dump the franchise, and move on. They did it with Ratchet & Clank, Sly Cooper, Tron, Sonic, and God of War. Now, there's nothing wrong with that, but it seems unlikely they will return to Sly Cooper. The only games the company seems to be working on these days are for... the Oculus Rift... so maybe they're allergic to the idea of making money. I know I'm being rather salty here, but its disappointing to see Sly dumped at the curb despite success. Again. Shifting gears to the movie now, I saw a post on the Sly Cooper Reddit reporting that somebody on Tumblr messaged one of the developers (pictured above) of the Sly Cooper Movie who confirmed that the movie is still in production, though it will likely skip the big screen and be direct-to-video. Well, as far as news goes, thats about all I've got. Do I really think Sly 5 is coming? I'm not sure. I really hope so. Sly Cooper was my childhood, and I started this website in eighth or ninth grade. Now I'm an adult, a college graduate, a professional graphic & web designer (curating this website inspired me to pursue that field), and I'll be continuing my design education for another two years. I don't have as much time for the website or video games in general as I used to, but Sly Cooper and this corner of the Internet will always be a part of who I am. I always promised not to abandon the site, and I never will. It'll be here even after I die. 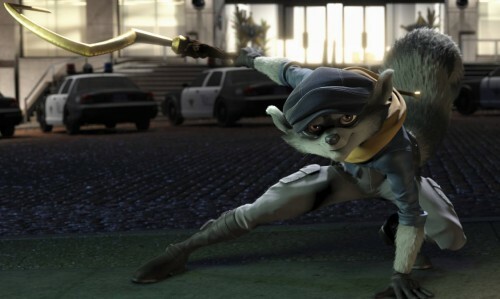 I just hope that Sly 5 is released before that happens! ​Back in 2006, the iconic website/forum Sly's Underground began producing podcasts. Co-stars Mike and Jackie managed to record 43 podcasts during their one-year season. Sly's Underground has been offline for some time now, but after an interview I conducted with Fiendish Kitten, I decided to try tracking down the podcasts. After getting in contact with Mike, and late his friend Jack, I managed to track down the first four episodes, which you can go listen to and download and the brand new podcasts page! On this day fourteen years ago in 2002, the game that started it all - Sly Cooper and the Thievius Raccoonus - was released. The game was met with critical acclaim for being a revolutionary 3D platformer, became an instant classic, and essentially put small-time studio Sucker Punch Productions on the map. Words simply can't describe the extraordinary impact that this game has had on my life, and the lives of millions of fans across the globe. Fourteenth anniversaries aren't typically recognized, but the fate of Sly Cooper is yet again uncertain. Thus we should take today to reflect on what the series has meant for all of us and hope that one day soon we may be fortunate enough to play another game or see the highly anticipated movie. Thanks for all the memories and the good times, Sly. It's been a wild ride. Prominent Sly Cooper YouTuber VTNVIVI has recently confirmed via his source, Animation Critic, that Rainmaker Entertainment does not expect to release Sly Cooper in 2017. Since the teaser trailer was released almost two years ago, very little news about the movie has slipped through the cracks. After Rainmaker's recent videogame-to-film adaptation, Ratchet and Clank, bombed at the box office costing the company $10 Million, many have been concerned as to whether or not our favorite raccoon would make it to the silver screen. Rather than a theatrical release, Sly may go directly to DVD or Netflix which would be financially safer. However, nothing can really be certain. almost 200 fans prior to its closure. Thief.net was once the longest running Sly Cooper fan website, but after two years of inactivity, the news doesn't come as much of a shock. 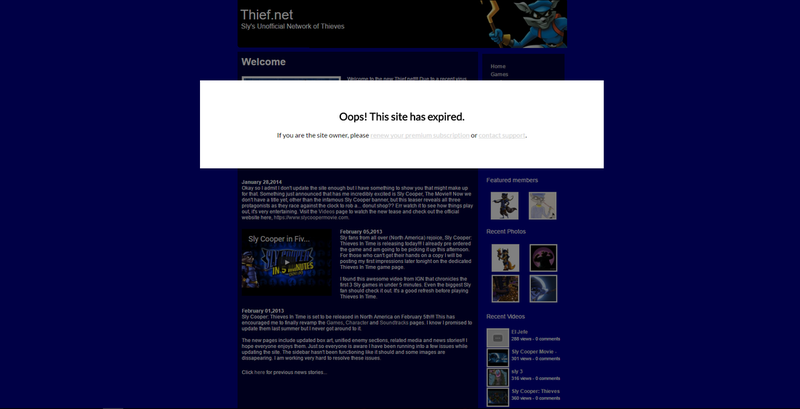 Thief.net is yet another site that has fallen victim to Free Web's attempts to clear up server space, and is probably the tenth Sly Cooper fan site that has expired due to inactivity. This news comes just one year after The Cooper Vault at SlyCooperFS.webs.com went offline, marking another major loss in Sly Cooper fan community history and culture. If you want to see what the site was like back in its glory days, you can check it out on the Intenet Archive Wayback machine here (original domain) and here (recent domain). With so many Sly Cooper fan entities disappearing lately, it raises an existential question about the Sly Cooper Fan Network. Life admittedly has a tenancy to get in the way of frequent updates, but I am still committed to the site and don't expect us to disappear anytime soon! 6/30/16 - YouTuber VTNVIVI Gives the Sly Cooper Fan Network a Shout-out! 6/23/16 - Sly Cooper Movie Officially in Development! The user InfamousComic on the Sly Cooper sub Reddit recently messaged Rainmaker Entertainment (the animation studio responsible for the Ratchet and Clank movie released earlier this year and the highly anticipated Sly film) about the status of the Sly Cooper Movie. Supposedly, Rainmaker actually responded, and confirmed that the movie adaptation of our beloved gaming franchise is in fact in production. This comes after two years of virtual silence from the team as the movie's YouTube, Twitter, Facebook and official website have been inactive since the teaser trailer's release in 2014. You can check out the original post on Reddit here. First of all, this is entirely speculation, nothing here is confirmed. However, I have a feeling that Sucker Punch may be working on another Sly game. I was strolling around online recently, and noticed that things have been pretty quiet around Sucker Punch. It's been two years since they released Infamous: Second Son, and their website hasn't been updated since they launched the First Light DLC. I recently decided to enter the 21st century by creating a Twitter account, so I decided to check out Sucker Punch's profile to see what's up. The first Tweet that caught my eye was from a few days ago on May 4th. 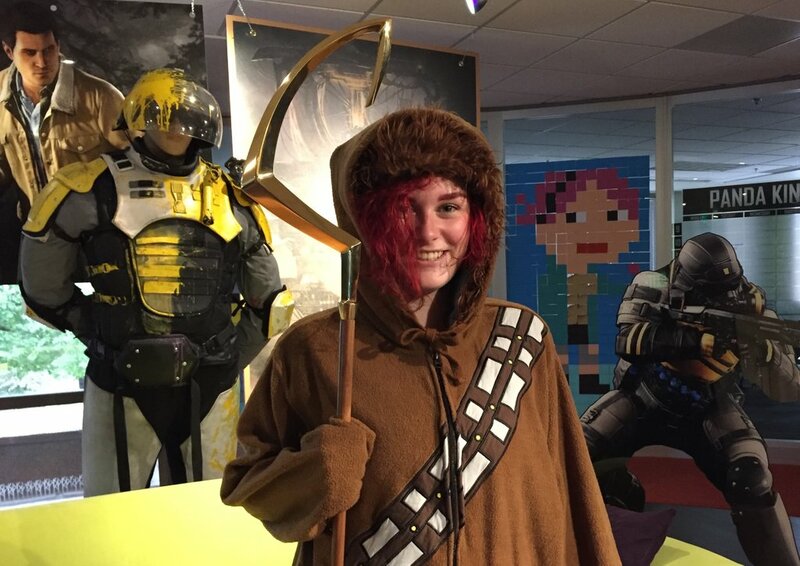 To celebrate Star Wars Day, they uploaded a picture of (presumably) an employee sporting a Chewbacca outfit. Pretty ordinary, except for the fact that she's holding a Cooper Cane. BUT WAIT! That's not just any Cooper Cane, that's the cane that was leaked by Sony way back in 2012 that many believed to indicate a collector's edition. Perhaps its nothing, or maybe they have the cane because Sanzaru turned over development, along with related materials (including unreleased collectors edition merchandise) to Sucker Punch. As I dug back through Sucker Punch's Twitter history, I found tons of tweets with references to Sly Cooper that just seemed odd to me. While Sucker Punch never tried burying the series and continued to hide Cooper easter eggs in their games, they always did try to keep their distance from the abandoned franchise to promote Infamous, and to stave off all the harassment they received from fans like us! Perhaps I am way off-base, but never fear, the conspiracy runs even deeper! 12/4/15 New Sly Cooper Fan Fiction Page! 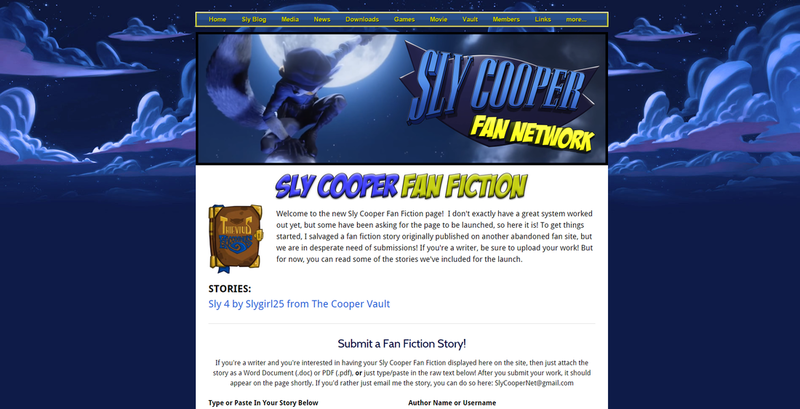 In response to several requests, we have just launched the brand new Sly Cooper Fan Network Fan Fiction Page. Its still a little rough around the edges, and its going to need some more submissions! If you're a writer and you want your Sly Cooper fan fiction to get featured on the site, then be sure the upload your work! In order to kick off the launch, I included an awesome story written by Slygirl25 from The Cooper Vault back in 2006. Since Sly 4 hadn't been released yet, she imagined what she thought the plot would be like. Check it out on the new page! 11/20/2015 Sly Cooper Fan Network: Fourth Anniversary! I've been working hard each night to bring the site up to date, and here are the latest editions. The photos and videos page have been merged together to form the Media page. 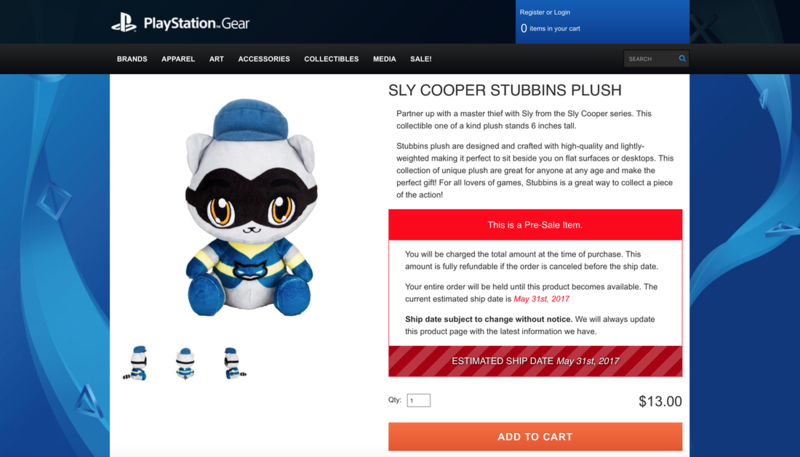 The Merchandise Guide on the Thievius Raccoonus page has been updated to include new, currently available Sly Cooper merchandise, such as, t-shirts, iPhone cases, and statues. The Links page has been heavily renovated to include eight new websites, four archives of past fan websites that have gone offline, and a form to submit links to Sly Cooper website (official or non-official) that you think should be added to the list. 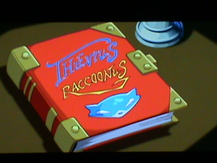 Four new topics have been added to the Sly Blog: a new general discussion, Sly 3: Honor Among Thieves, Sly 2: Band of Thieves, and Sly Cooper and the Thievius Raccoonus. Thing are getting red-hot! I just discovered that the soundboard downloads on the Downloads page weren't functional (and probably haven't been ever since we changed domains from SlyCooperNet.weebly.com to SlyCooperNet.com), so I fixed the links, and the awesome soundboards from Sly Cooper and The Thievius Raccoonus can now be downloaded once more! I also added the Sucker Punch art pack to the downloads page (which I had to split up into two parts due to size restrictions), and the last surviving issue of Cooper Capers, the discontinued online Sly Cooper Magazine. Today, on the fourth anniversary of The Elder Scrolls V: Skyrim (an entirely unrelated game) and almost a year of inactivity, the Sly Cooper Fan Network has returned. Expect some insane changes and updates over the coming weeks. 11/20/2014 Sly Cooper Fan Network: Third Anniversary! They say that time flies when you're having fun, and the three years spent curating this site have given me so many amazing memories. I know, I haven't been active at all lately and I haven't even updated anything since February this year. I can't express how sad I am that I've let the site fall into neglect, but sometimes life just gets in the way, and after all, things died down in the world of Sly Cooper after Thieves in Time was released. Don't worry though, I promise that I'll be back and I won't let the fan network fall into abandonment. I know this is nearly two years late, but I'm pleased to announce that after a five-year hiatus Cooper Capers will return for at least seven more issues to be released once a month. Issue 4 will be released on April 1st (no it's not an April Fool!). If you could spread the word around that would be great! I'm always open for suggestions and issues 4-10 will be a lot different from the first three. 11/20/2013 Sly Cooper Fan Network: Second Anniversary! Today marks the second anniversary of the Sly Cooper Fan Network! Two years ago I set out to create an epic Sly Cooper community constructed on a foundation of hope for a fourth Sly Cooper game; a hope that was not in vain as our wish came true when the fourth game was released in February. On November 20, 2011 I published the first draft of the site, and look how far we have come since then! There are nearly 1,000 blog comments, over 50 members, and hundreds of visitors a day. We have made friends across the world who share our interests and we have all had a great time. Sure, the site has slowed down recently, but I wouldn't lose hope yet...Sly Cooper forever! 7/29/2013 More Evidence of "Sly 5 Master of Thieves?" 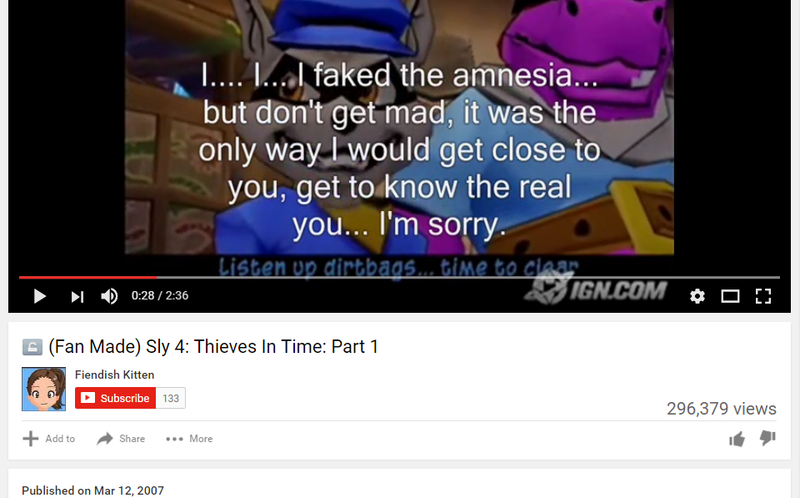 Today I was lurking on the Internet and found even more evidence of Sly 5 Thieves Be Forever. In my past videos and articles I have regarded Sly 5 Master of Thieves to be nothing more than a hoax conjured by an overly-anxious fanboy, but this potential Sly 5 retail poster has partially swayed me in the other direction. I first discovered it on FaceBook, but I don't know where the image originally surfaced. It seems strange however that retail posters would already be printed for a game that hasn't even been announced yet. If this poster is legit, it is even more proof that Sly 5 will in fact be for the Playstation 4. 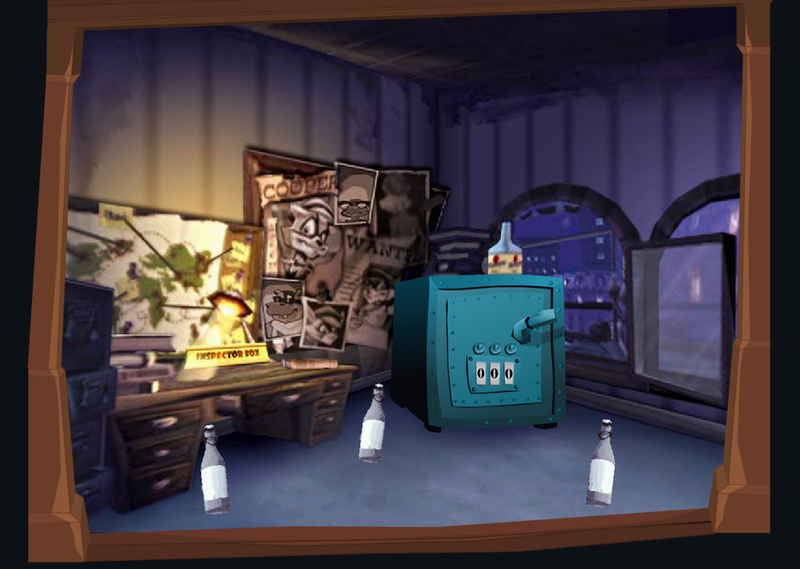 Also, the double-canes in the background look a lot like the canes used by Slytunkhamen Cooper from the picture in the Cooper Vault from Sly 3 Honor Among Thieves. This makes sense due to the fact that Slytunkhamen resides in Ancient Egypt, the very location Sly was revealed to be stranded in the secret ending of Sly Cooper: Thieves in Time. 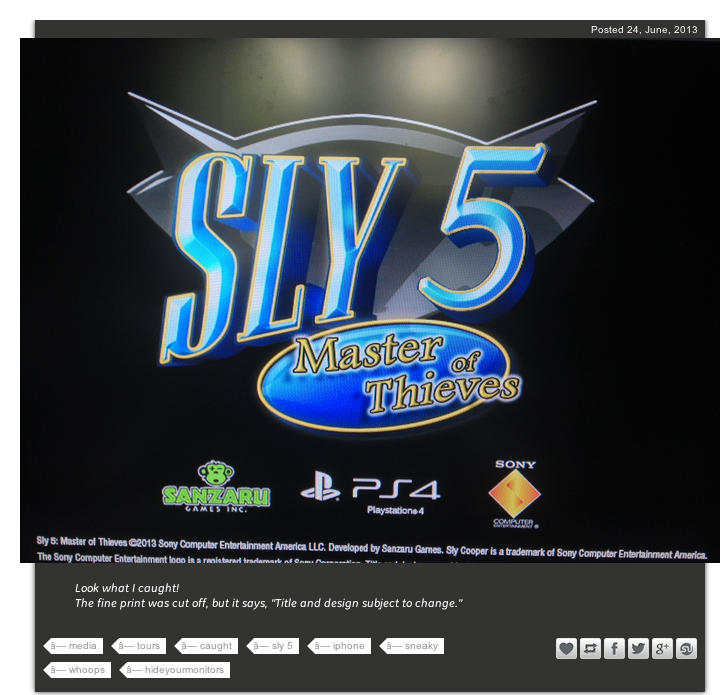 7/19/2013 "Sly 5 Master of Thieves?" I bring more from the Sly 5 front today with another possible leak, "Sly 5 Master of Thieves." So this image was supposedly leaked by a programmer on Tumblr. The tags placed on the image include "media," "tours," "caught," "sly 5," "iphone," "sneaky," "whoops," and "hideyourmonitors." So, lets analyze the Sly 5 logo. First thing I notice is that the "5," though its hard to tell, seems like its almost a slightly different font from the "Sly." I also notice that the "Master of Thieves" font seems far from anything on a Sly logo before. 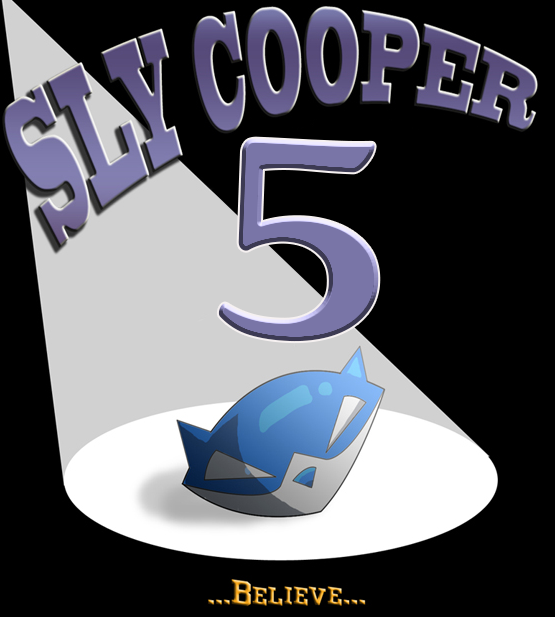 Theres also the fact that the "Sly" and the Cooper logo in the back are from another picture I've seen, and the rest was photoshoped out and the "5" is in its place. Due to these observations I find it hard to believe this is legit, but hey, ya never know! 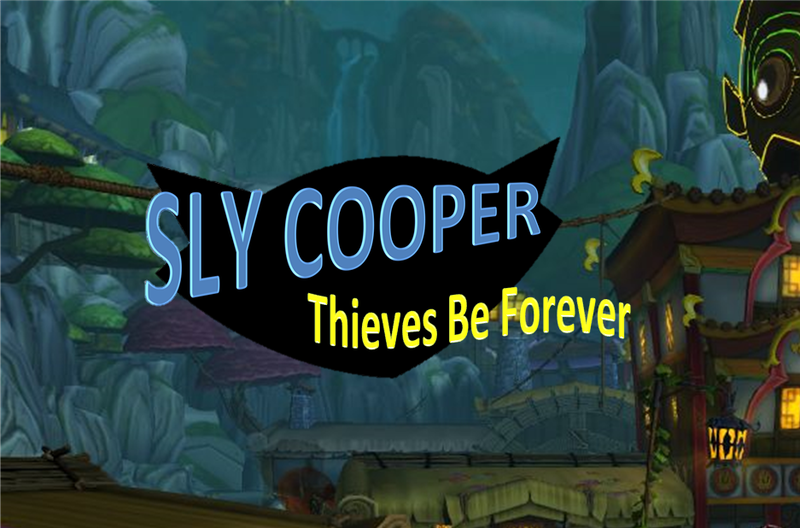 7/18/2013 Sly 5: "Sly Cooper Thieves Be Forever?" So I know I haven't updated the site since around the time of the release of Sly Cooper Thieves in Time, I'm sorry about that. I am trying to add some new content to the site, if you have any ideas let me know. Also, to those of you who have recently signed up to be members, I apologize for not uploading your profile sooner. Due to the new SlyCooperNet.com domain, I may be rearranging how the members system is set up as well. Stay tuned for more updates and some will be on the way soon. 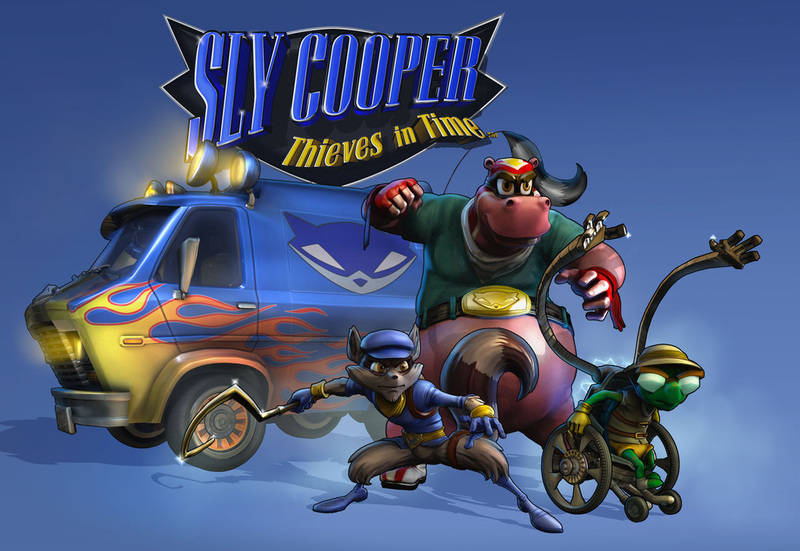 2/5/2013 Sly Cooper Thieves in Time Released! 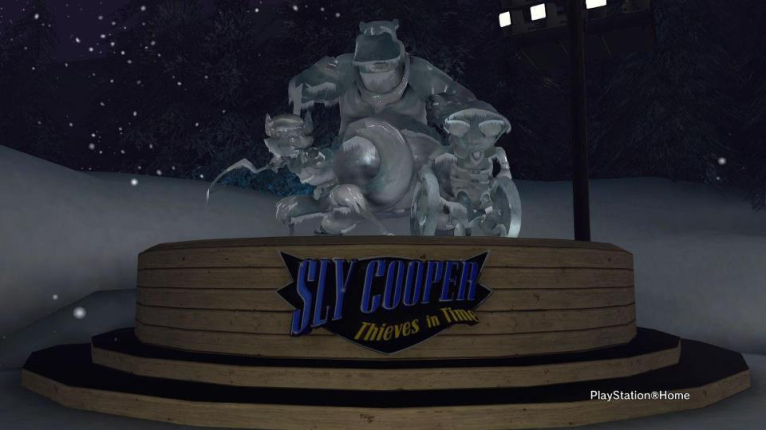 2/1/2013 Sly Cooper Thieves in Time Approaches...Are YOU Ready? The newest aspect of the game are Sly Cooper's playable ancestors. Confirmed ancestors include, Rioichi Cooper, Salim al Kupar, Sir Galleth Cooper, and Tennessee 'Kid' Cooper. It is likely there will be more ancestors, but they have not yet been confirmed...luckily the game isn't far way! 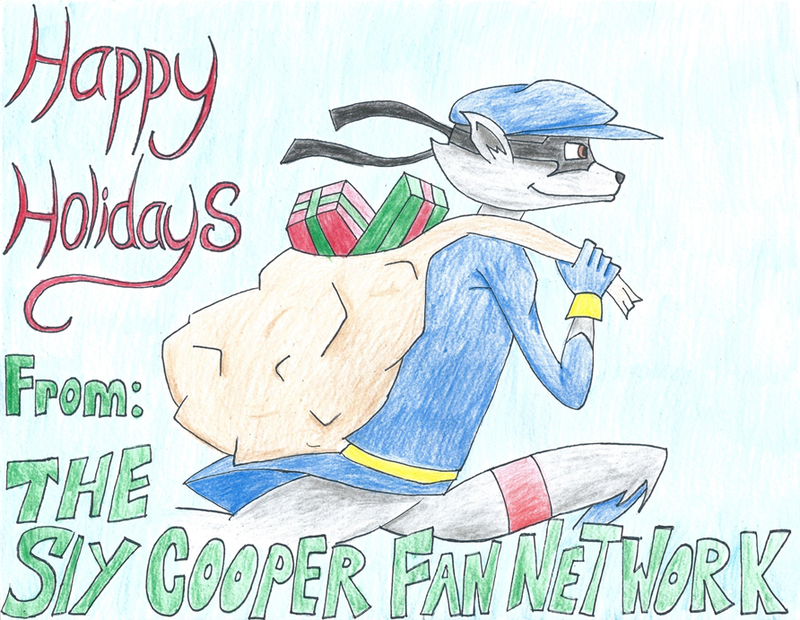 12/8/2012 Happy Holidays Sly Cooper Fan Network! 11/25/2012 More Sly Cooper Downloads! 11/20/2012 Sly Cooper Fan Network ONE YEAR ANNIVERSARY!!! Today marks the one year anniversary of the Sly Cooper Fan Network! It seems like it was only yesterday that I published the first draft of the site, and look how far we've come! We have 700 blog comments, 36 members, averages 200 to 400 visitors a day, and we keep growing! But the sites success is all thanks to the fans who made this website great. Thanks for all your help in making the Sly Cooper Fan Network one of the best fan sites on the internet! 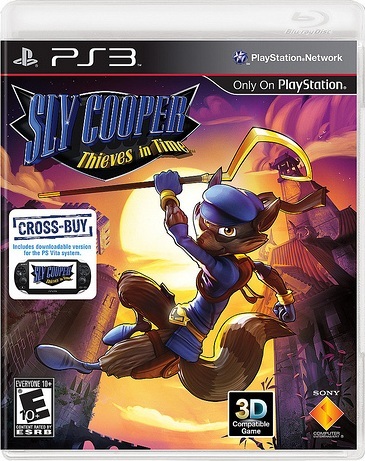 9/23/2012 Sly Cooper Thieves in Time Release Date! We've painfuly waited for 8 years, and it's almost here! It has been confirmed by the Playstation Blog on Friday that Sly Cooper Thieves in Time is being released on Febuary 5th, 2013! This is the best news in history of the franchise in my opinion, and the internet seems to agree. Since the relaese date has been announced, YouTube, blogs, and fan sites have been exploding with the great news. If you pre-order the game, you will get some custom skins when it is released. Also, if you get Sly 4 for Playstation 3, you'll get the PS Vita version for frno additional cost! There is still no word on a collectors edition yet, but stay tuned! Also, the final official cover art has been released which you can see to th left. For more info on the release date, check it out at the Playstation Blog. 7/19/2012 Sly Cooper Thieves in Time Demo with Ratchet & Clank Collection! It has been announced that the Ratchet & Clank Collection will include a Sly Cooper Thieves in Time Demo! The Ratchet and Clank Collection will be coming out for PS3 on August 28th, 2012, and will cost $29.99. You can buy in stores, or download it from the Playstation Network. The demo will be included with the collection to "reward" gamers for their patience. So if you buy the collection, you'll get a taste of Sly 4! I have updated the site a lot today to make up for the last month. I completely changed the home page, and made it more clean, neat, and concise. 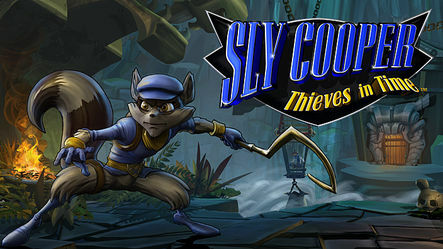 I also uploaded the Sly Cooper Thieves in Time E3 2012 gameplay and interview to the videos page. I highly suggest you watch it because it has a ton of new information on Sly Cooper Thieves in Time! 4/22/2012 Sly Cooper: Thieves in Time Treasure Design Contest!!! Glen Eagan from Sanzaru Games has recently announced a Sly Cooper: Thieves in Time Treasure Design Contest! All you have to do to enter is design a piece of treasure that you think our favorite raccoon would collect throughout his journey through time. You can make the treasure by drawing it on paper, or on your favorite design software. The winners will win, a costum Playstation 3 console with Sly Cooper on it, a Playstation Vita, and several other Playstation goodies adding up to around $1,000. 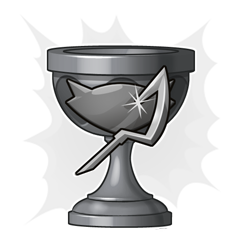 And, to top it all off, the winner will also have their treasure design in Sly Cooper: Thieves in Time! For more information, visit slycooper.com and doyouknowsly.com, and watch the contest video here. 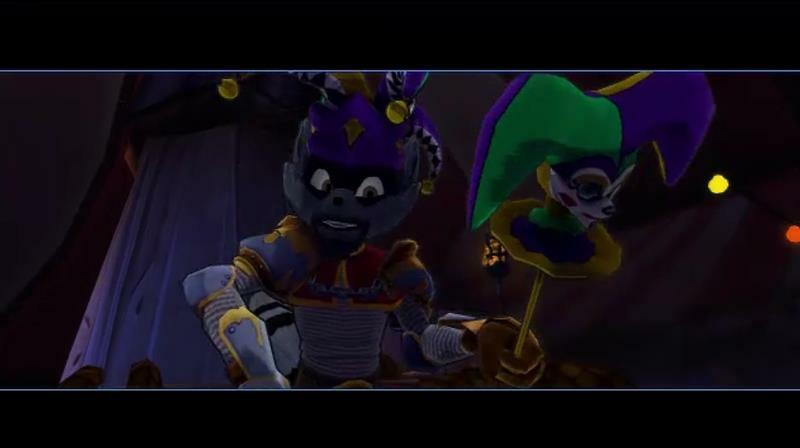 3/1/2012 NEW Sly 4 Screenshots, Ancestors, Gameplay, and Interviews!!! 3/1/2012 More updates, additions, and changes! Today, I've added the Sly Comic Book Page were you can read the entire Adventures of Sly Cooper Issue 1 Comic Book. I've also added every Cooper Ancestor's Canes to the Weapons and Gadgets Page, and added the new Sly 4 screenshots and video to the Photos Page and Videos Page. And finally, I made the Downloads Page more user-friendly. 2/18/2012 Updates, additions, and changes! Over the past few days, I've added a Suggestions Page, Sly 4 official news feeds, added Sly 4 screenshots ond pictures to the Photos Page, gave the Home Page a new look, made the entirety of the site much more user friendly and look better, combined About Us and Contact Us Pages, and I totally revamped the Members Page and members system! Check it out! Also, the Sly Cooper Fan Network got a record of 312 website viewers! Thanks for all the help! On a side note, please send any suggestions and ideas you may have for the site on the Suggesions Page, I'm always looking to improve! 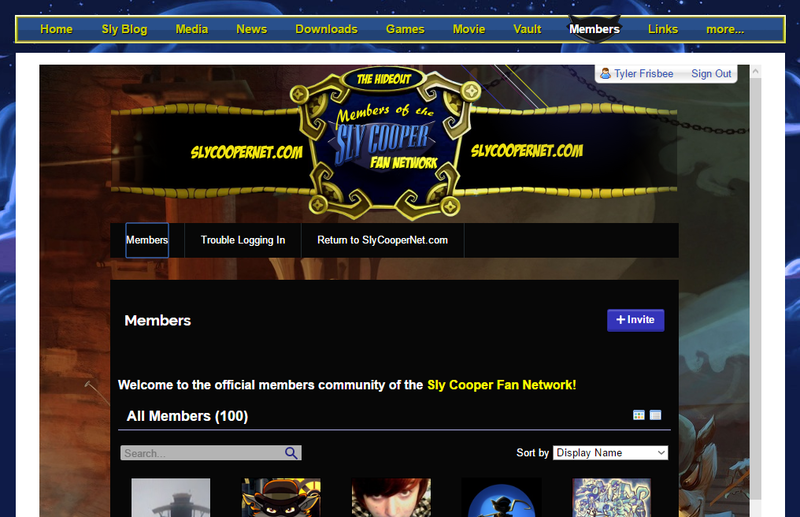 2/11/2012 Sly Cooper Fan Network partners with Sly Cooper Club! 2/6/2012 Sly Weapons, Gadgets, Technology, Vehicles, and More! Today I added the Weapons and Gadgets Page with detailed notes and pictures on the most awesome weapons and tech from the Sly Cooper Series! It's still a work in Progress, but I'll be adding a lot more to it in the future. Currently we have an arsenal of the Cooper family canes and various other weapons used by many other characters. Check it out! I have added a lot of epic Sly Cooper content to the Sly Cooper Fan Network today! This update includes: Tons of more Sly 4 photos and screenshots on the Photos Page, uploaded more Sly Cooper Fan Network Members' profiles on the Members Page, added another Sly 4 video to the videos page, re-arranged the Pages on the top of the site, and a news story on the recent Sly Cooper: Thieves in Time updates. Check it out! 1/27/2012 Sly 4 Ice Sculpture! 12/7/2011 Sly Cooper Holiday Edition Page!!! 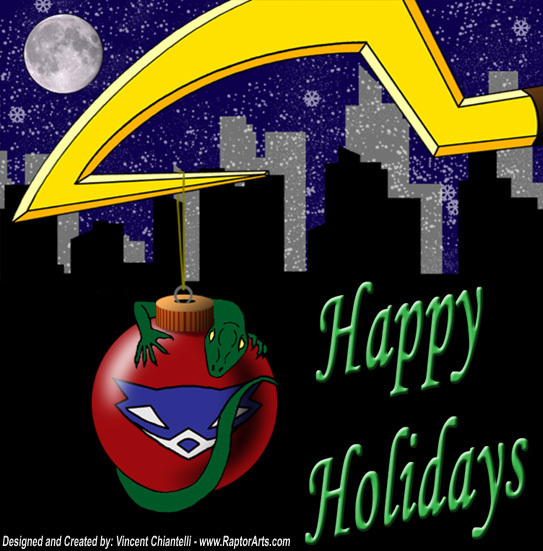 The new and awesome Sly Cooper Fan Network Holiday Edition Page is now released!!! It has a ton of cool Sly Cooper Christmas stuff! And more to come! 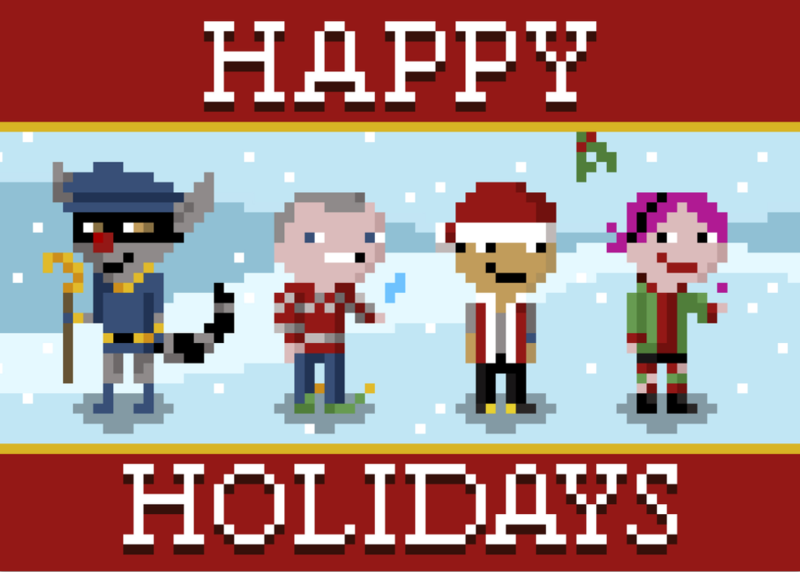 Just our way of saying Happy Holidays from Sly Cooper Fan Network! 11/26/2011 More Huge Site Updates! 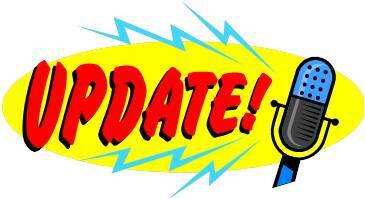 Today, The Sly Cooper Fan Network has undergone more huge site updates! This new update includes: Cool moving Sly Cooper Icons on downloads page, Sly's Cane page has added content (this includes a how-to-make Sly's Cane manual, mor info, and more pictures), updated news page, and updated sources page. 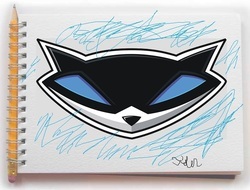 11/26/2011 Sly Cooper Fan Network Has Our First Member! 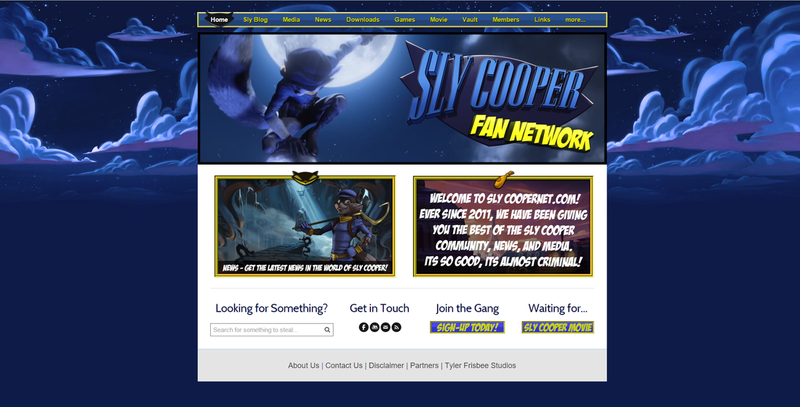 11/25/2011 Sly Cooper Fan Network Has Undergone Massive Site Updates! 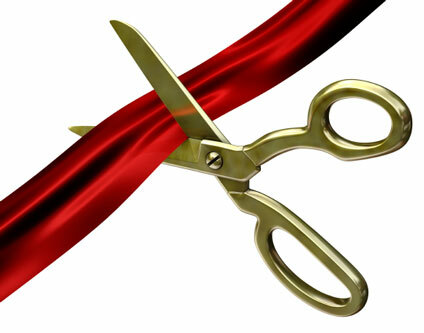 11/20/2011 Sly Cooper Fan Network Grand Opening! Today the Sly Cooper Fan Network is officially open! 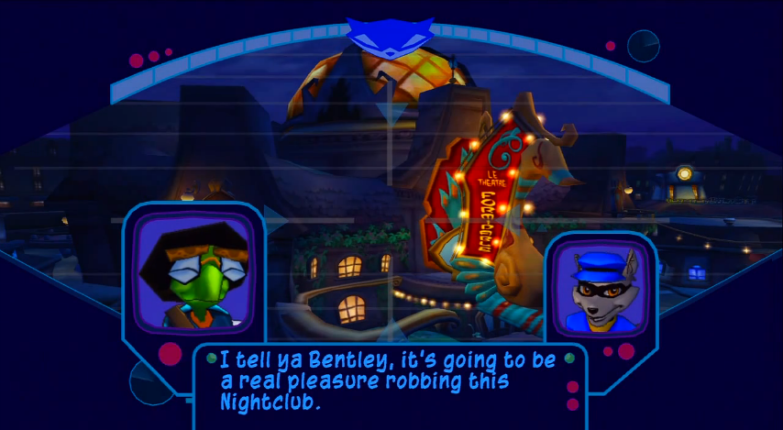 Sly Cooper is the master thief featured in the games by Sucker Punch Productions and Sanzaru Games. 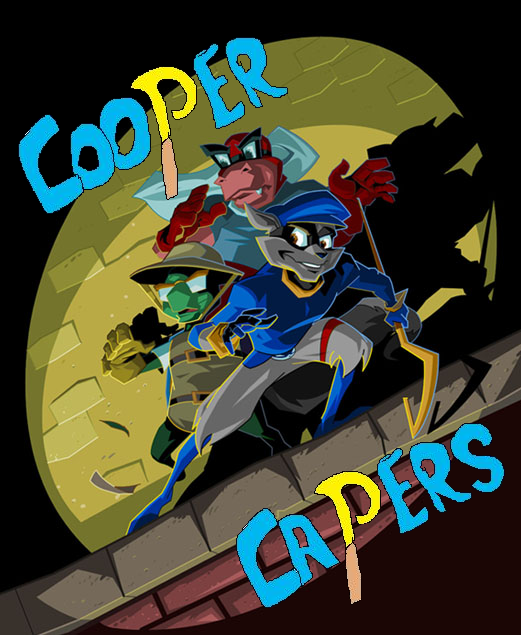 I have loved the series for as long as I can remember and decided to create this website in his honor upon learning of the upcoming game, Sly Cooper Thieves in Time. Here at the Sly Cooper Fan Network, you'll find everything and anything Sly Cooper. 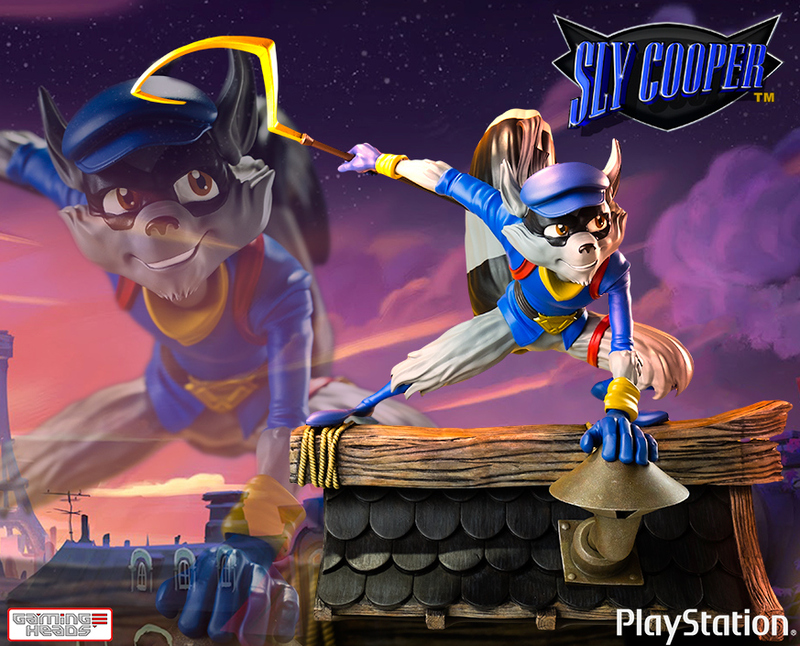 So check out the site and enjoy the epicness that is Sly Cooper!